Many of us are in a hurry to take that home loan. As long as we can repay the home loan All Is Well. What happens when we cannot pay back the home loan? What happens if I lose my job or if I am faced with a sudden illness and I am unable to pay back the EMI? Is this the end of the road for me? If any of you have had such as experience what would be your response .Would you have panicked? It would be good to remember that this is not a rare situation. Here banks have customers who do default on their loans as well. Here it is in the best interests of the bank to restructure your loan, as if it fails to do so it would increase the bank’s nonperforming assets. Which bank would want to see an increase in its NPA? Remember every cloud has a silver lining. 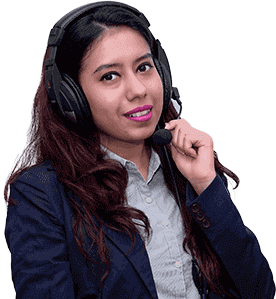 I would like to remind all of you that the team of Financial Planners at IndianMoney.com are always there for you to plan your Home Loan needs in a most efficient manner and are always willing to lend you a helping hand. You can explore this unique Free Advisory Service just by giving a missed call on 02261816111. So what should you do under such circumstances? Let us consider that you are temporarily not able to settle your EMI due to a sudden illness. You should then approach the bank in order to restructure your loans. Let us say that you are paying an EMI of INR 8000 for 10 years, then the bank may restructure it for INR 7500 for say a slightly longer tenure. Here the bank would not lose money as you would repay the amounts over a longer period of time. You are able to get that highly needed breathing space maybe at a slightly higher cost. Everyone is a winner in this case. If you are stuck in such a situation negotiation with your banker is the best approach.However it is best to follow the prevention is better than cure approach by setting aside say 6 months of EMI installments in a highly liquid fund for sudden emergencies. Here Home Loan Balance Transfer is a refinancing option to get the existing home loan in one bank transferred to another bank in order to avail the benefits of a lower interest rate. Here you can read up the website IndianMoney.com in order to understand your home loan needs. Why Should You Opt For A Balance Transfer? Here the existing home loan is set at a very high rate and despite discussions with the existing lender or bank there is no response. Here banks may not want to consider the negotiation options available to them and under these circumstances we might need to act in order to protect our interests. Here at the time the loan was first taken the options were limited. Now there are vast number of options available to us. We can avail of these options by using the home loan balance transfer option. Here the banking sector has undergone vast changes and we can tap into these benefits in order to avail loans at cheaper rates. In many foreign countries after 3-5 years it is very common to refinance ones home loans in order to tap into the benefits of obtaining loans at very competitive interest rates due to prevailing market conditions. This also helps to pay off home loans faster. Let us consider the case in which the bank has reduced rates for new borrowers. You are an existing borrower with a high credit score. Here you can approach the bank using the switch your home loan option as a bargaining chip in order to secure a lower rate from the bank. Let us consider the case in which we have taken a loan of 15 Years tenure. We still have about 10 years of repayment left. Here the new interest rates offered are 1% lower than the rates offered by our bank. Here we have the Balance Transfer Option where we shift the outstanding loan from our lender to the cheaper lender. Here the new lender will check our repayment history and it is necessary to keep the EMI statements handy. 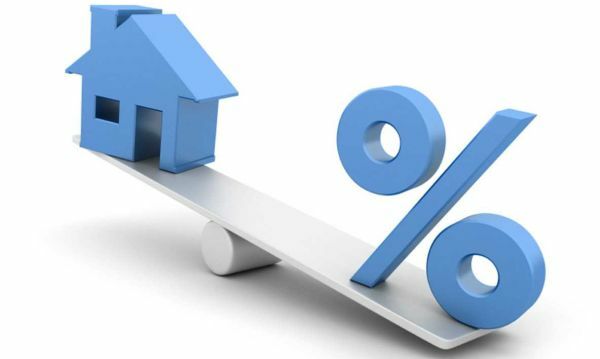 Here as per the RBI circular all banks have waived prepayment penalty on floating rate home loans .Some of the banks have also waived prepayment charges on fixed rate home loans. Another important factor we need to note is the Foreclosure charge. These charges apply when a borrower wants to switch his loan from the existing bank to another bank offering lower floating rate of interest or if the person wants to shift to a lesser rate within the same bank. Here the RBI has directed banks not to levy charges for foreclosure of home loans taken on floating interest rate basis. As per the Damodaran Committee report the various banks did not pass on the benefits of lower interest rates to existing borrowers when the rates fell. Such rates were offered only to new borrower’s .Such a practice combined with foreclosure charges prevented existing borrowers from enjoying lower rates with the same bank or switching to a lower rate in another bank. Here it is good to drive a hard bargain by talking to the existing bank. Here we can meet the bank and state the reason for the switching of the loan. Here we state that the current floating rate is too high and I would like to lock- in a lower floating rate due to my urgent financial commitments and I would like to retain the loan at the same bank rather than shift to another lender. Then settle for a round of discussion and negotiations. Here if we get a better rate in another bank we would like to shift our loan to this bank. We would require a letter of consent from the existing bank to give the go ahead to shift to a new lender. Here you need to make sure that you get the necessary foreclosure statements, account statements and the list of property documents from your existing bank. Here when opportunity strikes we need to seize the moment .It is prudent to look around and lock-in the best possible interest rates using the Balance Transfer option. Here a change in the interest rates by even say 0.5% is quite significant over a vast sum such as INR 50 Lakhs. Here Mathematics might not be the favorite subject for many of us, but a little homework here can save us thousands of rupees. Here we need to be aware of the lock in period of the home loans. Here banks have a loan disbursement date when they release the payments. For completed buildings this may not be an issue .For an under construction building the bank will disburse the loan in stages. It might take 2 years for the house to get constructed. Here we need to check when the disbursement dates are drawn. Is it drawn when disbursement commences, as disbursement is in stages or when the bank has fully completed the disbursement of the loan. This is very important to avoid loan penalty when refinancing the home loan . Do not seek additional sources of credit when your loan is being refinanced. If you require a new car put it on hold until your home loan has been refinanced. Here we need to set priorities in life. There have been cases in which refinancing of home loans has been scuttled because of poor credit scores. This is like jumping into a river with weights tied around your neck. Here I would like to end this article with the saying ‘Anyone can do something when they want to do it. Really successful people do things when they don’t want to do it’. Here in order to refinance our loans we have to take effort .It doesn’t come easy However if we do succeed in refinancing the loans the lesser interest rates are the fruits of our labor we enjoy.